What's New in this Lightroom Release > Lightroom CC Windows/Mac Updates > What a Week in the Lightroom World! What a Week in the Lightroom World! The past week has been one to remember, and I don’t think any of us fancy repeating it. But as the adrenaline levels are dropping and we all start to calm down, let’s take a sensible look back at the main points of confusion and how we move forward from here. Lightroom Classic = the latest version of the Lightroom we know and love, with performance enhancements and other improvements. This is the next step on from Lightroom CC 2015 and Lightroom 6, and stores all of your photos on your computer, as it always has done. If you’re trying to figure out which one you need, try this feature comparison table. The short answer is no, Lightroom Classic is alive and kicking. Even if you don’t believe Adobe’s promises to keep developing it, at least for the foreseeable future, then consider the logic in this linked blog post. 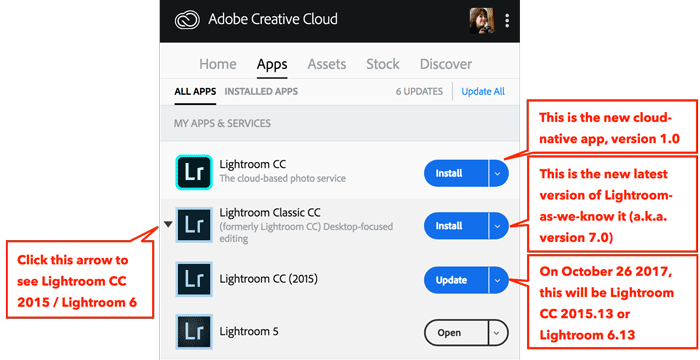 Some subscribers installed the new Lightroom CC cloud-native app, thinking that they were upgrading the app they’ve been using for years, and therefore wondered where all of their favorite features went. It’s an easy mistake to make if you haven’t heard all the furor about the rebranding. If this happened to you, don’t worry, your previous Lightroom version is still installed. If you added a bunch of new photos before you realized, there might be a little cleanup to do, so post on the forum and we’ll help with individual situations. Otherwise, you can uninstall Lightroom CC if it doesn’t meet your needs right now. Lightroom CC is only version 1.0 – it’s still a baby – and you get to help mold its development over the next few years. Your feature requests, and votes on other people’s feature requests, mean you can help develop Lightroom CC into the kind of app you need for your workflow. This is reminiscent of the early days of Lightroom, and it’s great fun watching it grow! So if Lightroom CC doesn’t have the features you need yet, make sure you add your vote at the Feature Request Forum. Lots of people are trying to use Lightroom CC desktop and Lightroom Classic together on the same computer, and since they weren’t really designed to work that way, they’re running into a few problems. Most notably, even though keywords can be viewed/edited in Lightroom CC, they don’t sync to or from Lightroom Classic. There aren’t any good long term workarounds for this issue and it’s not considered a bug, so if it’s important to you, you’ll want to vote on this request. I’m working on some blog posts on how to use them together, ready to post over the next couple of weeks, so if you’re struggling with this or considering trying to use both together, hold that thought! To retain the full Photography Plan but add 1TB of space, in theory you’d go to your Adobe account > Manage Account > Sign In > Manage Plan > Switch Plan and then it’ll show a page something like this, so you can switch to a plan that includes 1TB. The 1TB upgrade option isn’t currently available for discounted Student & Teacher licenses or certain other plans such as Teams. The web team are working on a solution. If you’re in a rush, go ahead and start filling up your space, and when you get close to running out, you’ll get a notification with an upgrade link. Some subscribers updated to Lightroom Classic without realizing it would remove Lightroom CC 2015 by default. If you want both installed, perhaps because you’re following my advice not to upgrade your main working catalog until you’ve tested with a new or duplicate catalog, you can just reinstall CC 2015 from the CC app. Click the arrow to the left of Lightroom Classic to show Lightroom CC 2015. To avoid this happening next time there’s a major update (probably October 2018), look out for the Advanced Settings > Remove Old Versions checkbox when you click Install/Update. 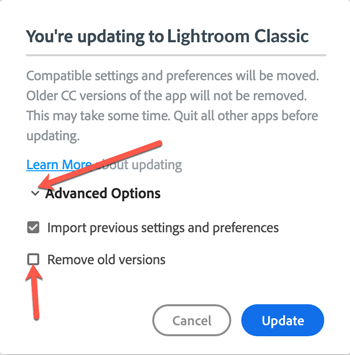 Some Lightroom 6 users were confronted with a dialog telling them that an upgrade was available, and when they went to the CC app, they accidentally installed the new Lightroom CC or Lightroom Classic, which are only trial versions. It was a (big!) 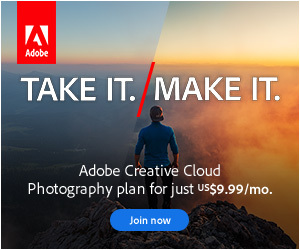 mistake on Adobe’s part. There’s lots of different departments involved, and it slipped through the net. We’re all human. (Edit – they’ve fixed it now) If this happened to you, there’s a couple of choices. You might decide you like the improvements in Lightroom Classic and go ahead and subscribe at the end of your 7 day trial. If you don’t want to subscribe, you’ll need to uninstall Lightroom Classic and reinstall Lightroom 6 from here, followed by the 6.12 or 6.13 patch from the same page. If you’re going back to Lightroom 6 perpetual, and you’d done a lot of work in Lightroom Classic before realizing the mistake, there is a minor roadblock. Lightroom 6 won’t open the Classic catalog format, so you’ll need to write the changes out to the files (XMP) and read them back into your Lightroom 6 catalog. The exact instructions will depend on each scenario, so drop by the forum if you need help with that. Next to Lightroom Classic CC, click the arrow to show previous versions (this is the essential step). Next to Lightroom CC (2015), click the Update button. I’ll also include direct patch links at the end of tomorrow’s blog post. I’m hearing lots of reports of Lightroom Classic feeling a bit faster than Lightroom CC 2015, which is really good news. Of course, as I warned, some people are still suffering performance issues, and these issues remain a work in progress. There are some reports of new bugs in Lightroom Classic. This isn’t unusual when doing a major upgrade (x.0), because there are major code changes and no amount of internal testing will catch issues that only happen on specific hardware/driver combinations. Most of the issues are related to graphics cards and their drivers, so checking the graphics card manufacturer’s website for an update would be a great place to start. Lightroom sometimes crashes on startup or exit. This solution works well for most Windows cases. 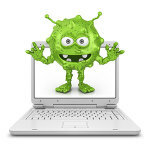 It’s also happening on some Macs, and that’s still under investigation. Problems with previews in the Library module, for example, a grey screen or ghosting. If you’ve already updated your graphics card driver, Sunil’s suggestion in this thread seems to work well for Library module issues. Problems with previews in the Develop module, for example, blocked blacks, ghosting or noise reduction not being displayed in Develop. If you’ve already updated your graphics card driver, option 2 on this tech note seems to work well for many Develop preview issues, even though the tech note is actually designed for crashes. Some people are reporting problems merging photos. Midi devices are not working properly in some languages. On High Sierra, map navigation doesn’t always work correctly. For a major upgrade, there’s a surprisingly small number of people reporting problems, which is good news. 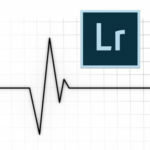 If you find any bugs in Lightroom Classic, here’s how to report them. Just some advance warning… I’ll be offline for 2 weeks from this Saturday, working hard to get the Lightroom Classic book ready for release. In the meantime, tomorrow’s post (October 26) will cover what’s new in Lightroom CC 2015.13 / 6.13. 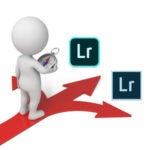 I don’t know how many of your subscribers are staying with Lr6, at least for a while, but if they’re like me, they’re less concerned with Adobe moving on than with the Lightroom Queen moving on. You probably know how we depend on you to fill in the “gaps” in Adobe support. And while it’s pretty obvious the scope of your work is going to get pretty big pretty fast, I hope you can still stay connected to the “legacy” users. It’s a great comfort knowing you’re there. Michael – you speak for a humongous number of us. Victoria has been an absolute Godsend to me!! Awwww, now you’re making me blush. Thank you for your support. Well deserved. Your commitment is admirable. You saved me more than once and your assistance has been crucial to understand and solve problems. That’s a fact. Thanks a lot! Thank you so much guys. It’s been a tough week, so your support is greatly appreciated. Is that really possible with the same Adobe ID? Back when I was taking an online course in Photography, I subscribed to the Full Creative Cloud subscription for students at €12/month. After the 2 year grace period it got marked up to €25/month which is my current cost. Now, in my Upgrade or Switching Plans options, I can opt for the 1TB at a cost of €60/month. That would be quite a cost “upgrade” for an amateur photographer as myself as I don’t profit from my photography in any way. 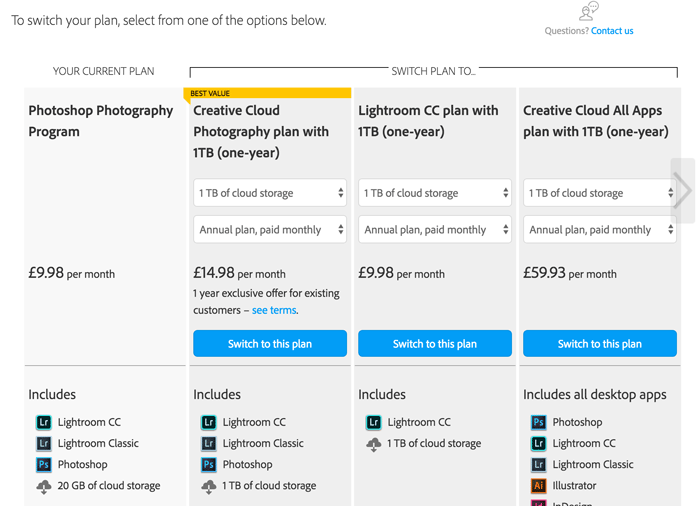 However, from your statement, it seems I can purchase the standalone Lightroom CC+1TB subscription, and have both, paying only an extra €10/month, but is this possible under the same Adobe ID, or would this require me to use a different email address (i.e. different Adobe ID)? As I understood it, it was on the same Adobe ID. Let me double check that for you though. As far as my contact at Adobe understands it, that should work. Or you might just want to be patient until they figure it out! Thank you! I will be patient and see what they do! What you have said confirms what I have been feeling and thinking. First, I should say that I was a Beta tester for the Prerelease version of Lightroom Classic. I think that it is a fabulous piece of software that does a great job of meeting my own personal needs. One of the ways that I moderate my photography obsession is by editing photos only on my desktop computer. Thus far, I have not had any bugs with Classic. Furthermore, I think that the kinds of bugs that are being experienced are no more than with any major upgrade in the past. They will get fixed. Having said that, hurray for Adobe for responding to the incredible diversity of photographers out there. We know that there are more photographs taken by mobile phone cameras in a day than with other types of cameras in the entire history of photography. The new Cloud version of LR is perfect for those people. Absolutely right Jack, I was expecting a few more bug reports in Classic, so it’s great to see they’ve kept it fairly stable. So what are you on at the moment John? You’re probably on Lightroom CC 2015 (Help menu > System Info would confirm). When you’re ready to upgrade, see the screenshot of the CC app (the one with the red arrows and writing). You’ll probably want to upgrade to Lightroom Classic at some point, but maybe wait for the next update, maybe in a couple of months time. That wouldn’t change your subscription cost. Hi Queenie, yes, I have the subscription version 2015CC and do not intend to upgrade to Classic for while. I just wanted to find out what the improvements were in detail but failed. As someone who makes a significant part of his living teaching LR one to one with numerous clients, I have to say that of all the blogs/articles/experts I read you are the best. Perhaps it is time for an your own upgrade to the Lightroom Empress? LOL Robert! Thank you for the promotion! Thank you Sally! Happy to help! Hi, I use LR 6, and updated to cc. Problems, so reinstalled 6. When I import images, no preview available. check for updates: version check unsuccessful. Possibly internet connection (it’s fine) or server containing version data not available. You’re probably on 6.0 again. Use the direct link at the end of this post: https://www.lightroomqueen.com/whats-new-in-lightroom-cc-2015-13-6-13/. Hopefully that’ll do the trick. Hi – I’ve just recently subscribed to your site – it has the clearest description of the tradeoffs between CC and Classic I’ve seen anywhere – thank you. My main desktop system that has LR Mobile sync turned on is an iMac. I have another version of Classic on my laptop without sync’ing turned on (since you can’t have more than one master). I also have CC installed on my laptop. On a weekend shoot, I load all my photos into Classic, do all the processing that I’d normally do (except keywords), and then Export as Catalog the final set of photos. I then switch over to CC and run the catalog migration, choosing my exported catalog. I then end up with the originals in the cloud and synchronized with my main catalog where I can add the keywords. So kind of best of both worlds – except for the keywords. Thanks Steve! Great workaround, thanks for sharing. I was on the subscription model and then updated to 7.0 Classic. With the exception of going from 5.7 to 6.0 where I and many others experienced slower performance, all the ver 6 updates didn’t have much of a performance hit in either direction. The 7.0 Classic update from 2015 CC has resulted in quite a noticeable decrease in performance for me on my late 2015 iMac. Getting beach balls where I never used to in the Develop module and the visual effects of slider movement are delayed just enough to be irritating. Again this wasn’t the case with 2015 CC. Was really looking forward to seeing some speed but I’m shocked to actually be experiencing worse performance. BTW: tried disabling the GPU but it had no effect. Sorry to hear that Matt. That’s the reason I warned to test on another catalog before upgrading your working catalog. While many people are seeing improvements, some people are seeing performance degradation. Make sure you report it at the Official Feature Request/Bug Report Forum at https://feedback.photoshop.com/photoshop_family/topics/new/add_details?topic%5B so the engineers can figure out what’s up, and hopefully get fixes into 7.1. I’ve reported it Victoria. It was tested but on my MBP who’s catalog is quite small. It appears the size of the catalog makes the difference. The ones on my iMac are 50gb & 26gb and running either is where the pain sets in. Many people are running LR on iMac’s w/i7’s and a 50gb catalog (which represents only 31,000 photos in my case) just isn’t that large. It’s real difficult to accept valid testing procedures were in place given this simple example. It’s issues like these in a product now in release 7 that give Adobe a black eye and when the attempt to justify it by indicating there is no way to test ‘all’ combinations is used, it further points to their inability to objectively evaluate their internal procedures. Unfortunately nothing new here, and the ‘wait’ begins again. 31000 photos with a 50GB catalog? I take it you’re including preview files in that size? Correct… I should have stated it better, the preview catalog is 50gb with the corresponding main catalog at 680mb. Don’t support sync affects it? I have my suspicions that it’s sync related rather than catalog size related. My main test catalog’s running over 100k, but I go through so many builds between releases, it’s harder to compare. I just discovered your blog and hoping its appropriate to ask a question. 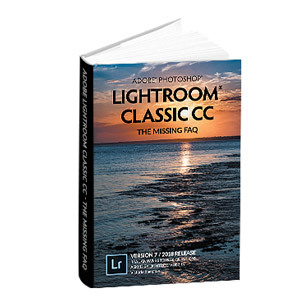 I am on Lightroom CC and hesitant to update to CC Classic as I have read there have been serious problems especially for those with a large Library. My library is 4.8 Terabits. Should I wait a few more months or can I confidently update if I take some precautions, currently unknown to me. Thanks! You might want to wait until 7.1, just to avoid the early teething problems.